I'm such a city girl at heart, so when I was offered the chance to spend a few days in Liverpool with Travelodge, I couldn't wait to get away. 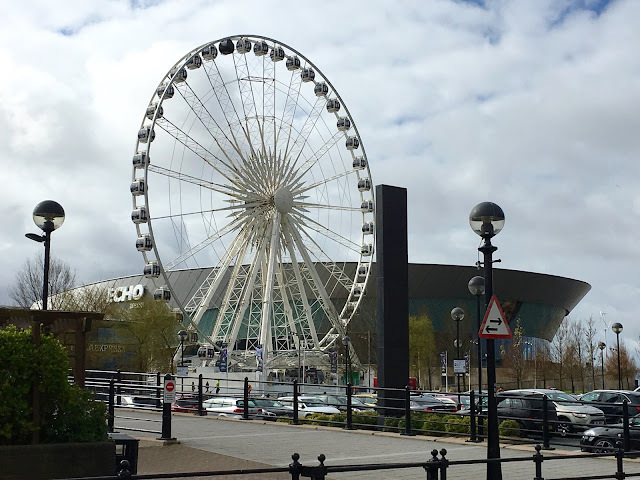 I've only been to Liverpool once before for FABB Events which was quite a rushed visit and the opportunity to spend some relaxing family time with Robbie and Elodie, seeing the sights and exploring a little was just what we needed. We stayed in Liverpool Central hotel, one of the eight Travelodge's in the city, which was in walking distance to everywhere we wanted to go; a few minutes walk from the bus station and only half a mile from Lime Street train station - the location really couldn't have been any better. 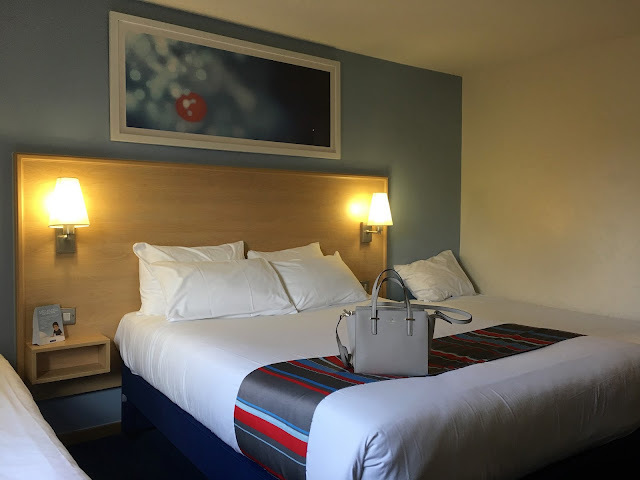 We checked into our family room, which as with all Travelodge rooms was simple, yet had everything we needed and more; double bed, two single beds, extra pillows, dressing table, TV, large mirrors, kettle, toilet, shower, bath and extra towels. The room was spacious and clean, and all of the staff were really welcoming and helpful. Everyone knows Travelodge hotels are on the budget end of the spectrum, but for such amazing locations and such great prices there's no reason to stay elsewhere when you're going for a city break... Rooms in this Travelodge start at £32 per night. Although we only really used the hotel to sleep in, everything was silent at night, the beds were comfortable and I wouldn't have asked for anything else, I felt completely at ease in our home for two nights. I decided to face my fear of heights and take a ride on The Wheel of Liverpool, a 60m high wheel which shows off panoramic views of the whole city. 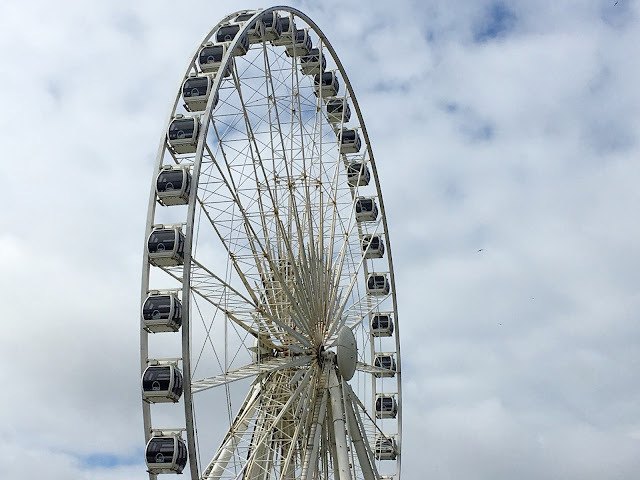 Although I've been on The London Eye (which is twice as high), I actually found this a lot more daunting... maybe due to the fact that these pods are hanging, maybe because it was so windy, or maybe a combination of the two, but I did find myself very nervous! The wheel went around about four times (I think!) and after the first turn, I was much more relaxed and managed to enjoy the stunning views of the docks, the river Mersey and the entire city... I even braved it and took some photos. If you're ever visiting Liverpool, I'd definitely recommend it if you can handle the vertigo, I bet it would be beautiful at night too. Elodie thought it was the best thing ever and once my feet were firmly back on the ground, I realise I had actually loved it myself! 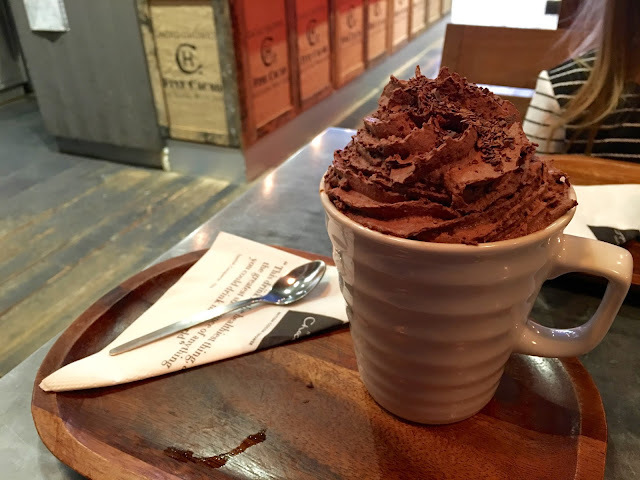 One of the places I planned to visit as soon as I knew I was going to Liverpool was the Hotel Chocolat Cafe for one of their famous Classic Hot Chocolates with extra chocolate cream... This may seem like a strange first choice, but we don't have these cafes where I live, and as a dedicated chocoholic it was somewhere I just had to go! I was tempted to order one of their cakes to go alongside my drink, but I knew the sugar rush would be too much for even me to handle! Elodie had the same as me in a slightly smaller size, and Robbie ordered a cup of tea and a brownie. Everything was delicious, and the hot chocolate really was something special, albeit a little pricey, but worth it for a treat... I will be sure to go back next time I'm in Liverpool. It was a brilliant show filled with laughs for the adults and the children, water pistols, well known songs and Prince Charming in his jodhpurs, a little something for the Mums! 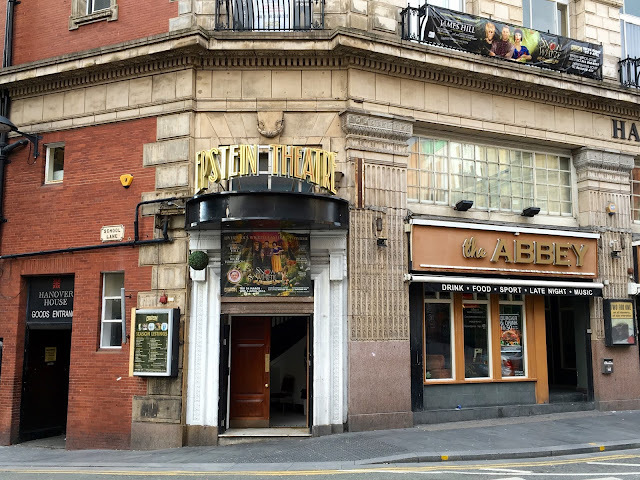 The Epstein is a refurbished 1913 theatre, with a very grand interior and a capacity of 380. It is within walking distance of Liverpool Central train station, Liverpool One and the docks. 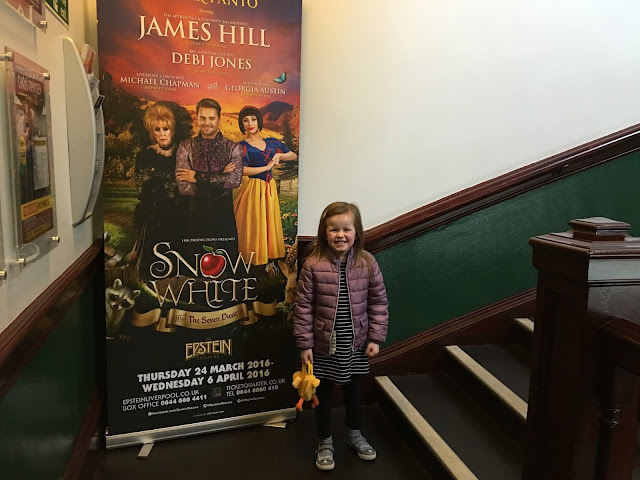 Although the Snow White pantomime has ended now, there are lots of great shows coming up including Chris Ramsey in a couple of weeks and The Railway Children in October. After the pantomime, we wanted a quick bite to eat so headed to American Pizza Slice, which had been recommended to me by someone on Twitter (sorry I can't find your Tweet... let me know if it was you!) and which claims to be 'the best damn pizza in Liverpool'! 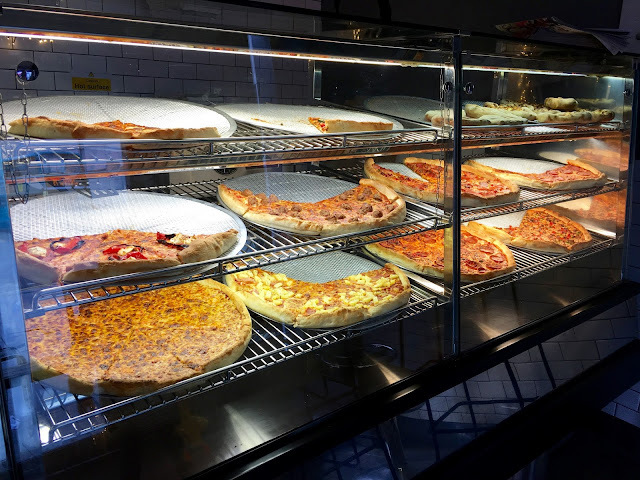 We had the choice of twelve flavours of pizza, all of which had been freshly made and were displayed in the glass front counter in the shop, making buying a slice even more tempting, seriously how good do they look?! Robbie & I shared a slice (yes they're that big!) of Meat Feast which had pepperoni, salami, honey roast gammon, spicy beef, peppers and onions all squeezed on top and although I didn't sample any other pizza in Liverpool to compare too, I can tell you it was pretty damn good, it was extremely cheesy and tasted really fresh, to be honest I probably could have managed the whole pizza slice to myself! Keep your eyes peeled for my next post about Liverpool for more exciting things to do in the city. Thanks to Talented Talkers for giving me such a good time! I'm still sulking about that hot chocolate! We really need a Hotel Chocolat cafe in the North East! 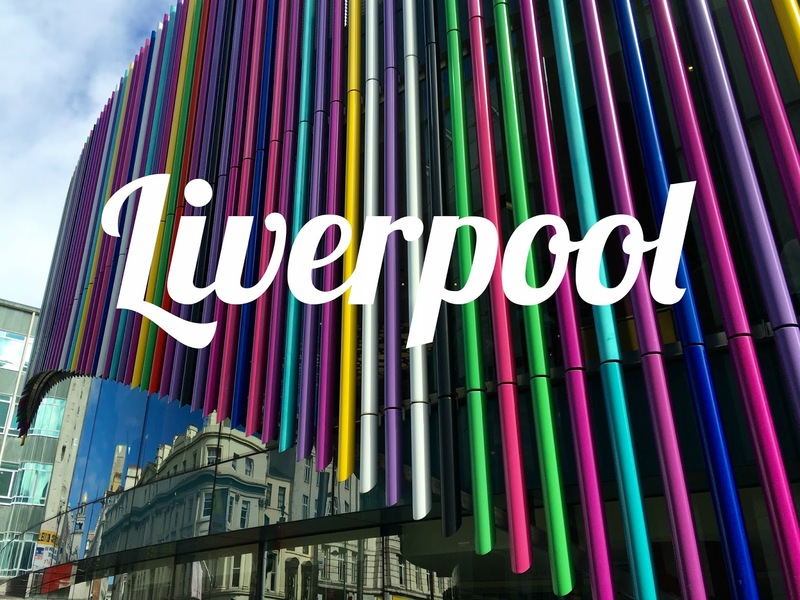 I love Liverpool - I went a few years ago for a girlie weekend and had such a great time!